Gus the bulldog wants has an indoor pool. I Hate Being a Vet. They showed this on TV a few days ago. It was and still is so funny. Now when u want something, u want it no matter how hard the task. LOL Loved this one. My little Yorkies are not that big, but it they want something, they don’t stop till they get it. I Love little dogs w/personalities. Gus is one of thouse special babies too. Go Gus. Those are priceless moments that we all need to have. 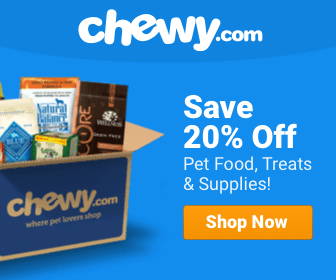 All of us pet lovers, enjoy them. They are our children and how could we not Love these little stinkers. Where there’s a will, theres a way, Gus’s way. That is one of THE funniest videos ever! He should get an A+ for effort! Love it!!! I guess Gus like indoor pools better! Ha! I’m not going to let my dogs watch this video… don’t want to give them any ideas! Gus was worried about sun cancer! Smart dog. Gus I want you to come to my house and install an indoor pool for me! You silly dog. While Gus was funny, I really had to laugh at the OTHER dog, whose only desire was to drink the pool water!! My dogs think our pool is one giant water bowl. Made me laugh!!!! He was a dog with a one track mind, too! That is one determined little spud! LOVE! That is awesome! Gus, you are one smart doggy. I want to see what he did AFTER he got the pool inside!! LOL!! In this heat, we all want indoor pools! I don’t blame him a bit! I love the subtitle above the video! 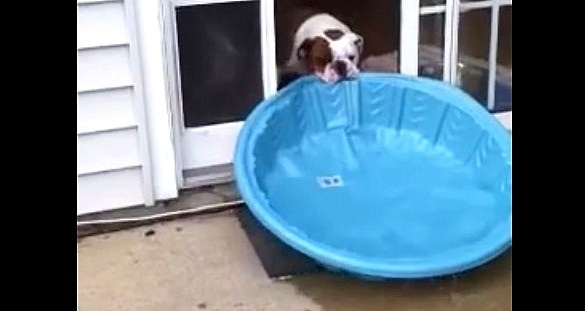 My bulldog does the same thing drags his pool around full of water. They are definatley strong dogs. But he can’t get his through the door!! LOL But we have to buy a new baby pool every year because he ruins one every year from chewing on it and dragging it around!! I wish more people were as determined. The other dog was confused about it.love it. HILARIOUS!! I have watched this several times and laugh even harder every time!! Talk about determination! HA!! This is so hilarious!!! Go GUS!! That’s what you call determination!!! So cute! One of those times when you want to stop them….but at the same time, want to see if they can accomplish the task! That is my favorite and like Michelle, I shared it EVERYWHERE! What a smart dog! He wanted it where he wanted it so he devised and plan and carried it out. what a smart pup huh? very smart the way he nutted out how to do it. But slightly disturbing that he ignored his owner completely! I do love the “on looker” too… didn’t interfere with the task at hand. 🙂 Probably knows better than to get in Gus’s way!! So cute! Funny how he emptied the pool before finally getting it inside! LOL! That is one determine & smart dog!! Well done! Loved it, nothing like the tenacity of a bulldog. He even got the water out first!! Tooo funny! And so smart! I wonder if they can now get him to do it on command when they want to empty the pool and clean up!!! “We can’t have anything nice, can we?” <– how many times have you heard yourself saying that to your dog? No Gus, You’re not taking it into the house, No Gus, no Gus, NO Gus…. Oh My….. Thanks for sharing … made my day! WAY too funny! I can’t picture a collie ever thinking that one up! But then, I’m not going to show my dogs this clip, just to be on the safe side! Nothing was going to stop Gus….a real guy thing it appears. That’s testosterone in action. Rock on, m’friend. That pool was possibly Gus or Gwen’s Bed and someone took the pad out and filled his or her bed with water and he or she decided enough was enough. Pretty funny. Dr. B, i didn’t see any hanger downers, so the testosterone must be omitted as the drive. that’s great!….waiting to see what happened inside! You actually make it seem so easy together with your presentation but I find this matter to be actually one thing that I believe I would never understand. It sort of feels too complicated and extremely wide for me. I’m looking forward on your subsequent publish, I’ll try to get the grasp of it!